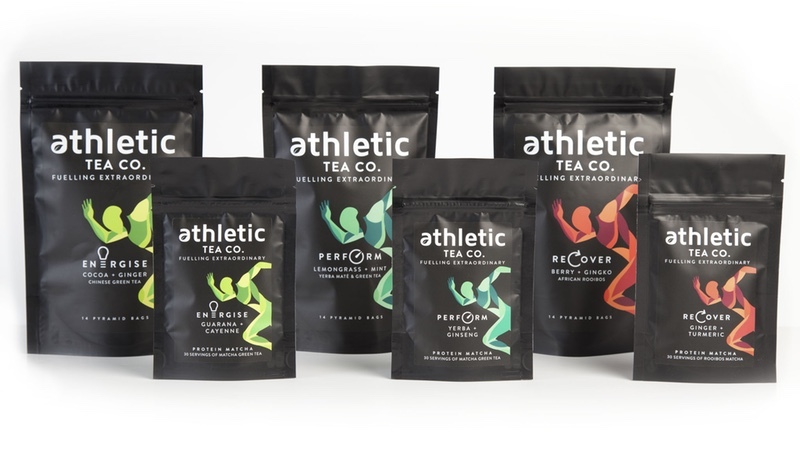 Athletic Tea Company has been awarded two Great Taste Awards for its ‘Recovery’ range. The young brand that produces blends to enhance sporting performance is led by Guinness World Record athlete Tom Whittle (26). He drank his own range of Athletic Tea instead of relying on energy/sports drinks or coffee to help him smash the record for the fastest crossing of Iceland on foot! In 2017, Tom completed 17 marathons in 10 days – winning a record and road-testing his new tea range in the process. The company launched in January 2018, after former lawyer Tom completed a charity cycle ride covering the length of South America. He discovered that coffee and sugar-based energy drinks led to spikes and slumps in energy. He solved the problem during his 300-day cycle challenge by drinking local Argentinian drink yerba mate. Yerba mate is shown to release caffeine into the body over a much longer period of time than coffee and has become associated with a more balanced energy level. This has not only seen it become popular with busy office workers but also, most recently, with the England football team during the World Cup. Using yerba mate as an ingredient, ‘Tom worked with sports scientists and master tea blenders to create unique blends for energy, performance and recovery.’ The teas use 36 different natural ingredients from 33 countries. The teas, ranging from Energy Cocoa + Ginger Biodegradable Teabags to Recovery Ginger + Turmeric Protein Matcha, are now available on Amazon or www.athleticteaco.com.